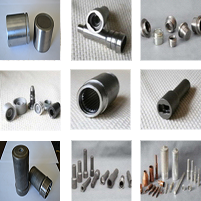 Applications of Forged Metal Automotive Parts - DF Precision Inc.
Metal parts produced by forging can be used for a variety of different applications, the most common being components for trucks and automotives since forged metal parts are very strong, reliable, and economically advantageous. 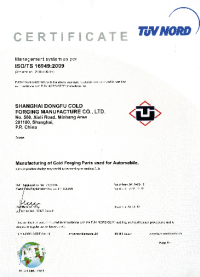 In automotive cars, forged metal parts can be found in the drivetrain and powertrain systems and the steering system. 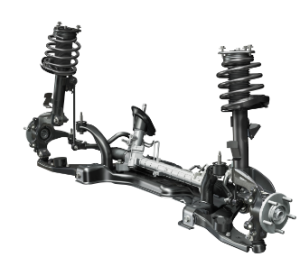 The powertrain incorporates usage of forged metal parts such as in the transmission shafts and gears, drive shafts, clutch hubs, and universal joints. Forged pistons are used in the engine of a car because they are more durable and can be easily customized, which is important when tuning the engine. 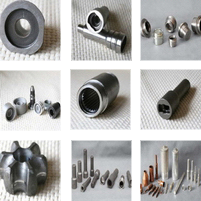 Due to the superior mechanical properties and resistance to porosity, heat, and corrosion, metal products from forging are often involved in high pressure valves, valve bodies, fittings and flanges. Other common components of a truck or car that are produced from forging are axle beams and shafts, chassis components, torsion bars, shift kits, fan clutches, engine valves, and cam shafts. Typically carbon or alloy steel is used as materials for forging metal automotive parts in the powertrain and drivetrain systems, but now softer types of metals such as aluminum can be forged into automotive parts by the process of cold forging. Cold forging is the ideal method to use if being cost efficient is important since it requires little to no finishing work while creating high quality forged products.